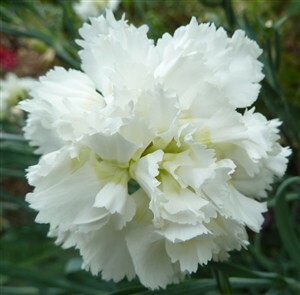 Dianthus Mrs Sinkins A classic old fashioned cottage garden plant with large blowsy white double flowers that are so big they characteristically split their calyx. Heavily, deliciously scented. For sun, well drained, not acidic. Easy and hardy.